Business valuation is the process used to estimate the economic value of a company. Fair value is often needed to establish a sale value or when establishing partner ownership. 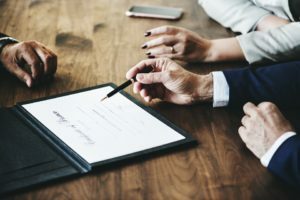 In addition to being used to estimate the selling price of a company, valuation tools can be useful when resolving disputes relating to divorce litigation, estate and gift taxation, and when allocating business purchase price among assets. There are three main business valuation methods performed today, including asset-based approaches, earning value approaches, and market value approaches. Learn more about these three business valuation methods and why you should contact a business consulting firm. Also referred to as cost-based methods, asset-based approaches are designed to estimate the value of a business as the total cost required to create another business of the same economic utility. This business valuation method can be performed on a going concern or on a liquidation basis. When performed on a going concern, the business’s liability values are subtracted from its net balance sheet asset value. With a liquidation asset-based approach, the net cash is determined after all assets are sold and liabilities are paid off. Asset-based business valuation can be highly useful when determining an estimated business sale price allocation and when building a business deal. Under the asset approach, there are two central methods including asset accumulation method and excess earnings method. If you have a sole proprietorship, know that using the asset-based approach can be more challenging. When you have a corporation, the assets are owned by the business and would generally be included in the business sale. However, assets in a sole proprietorship remain in the owner name and separating assets from personal and business use can often be difficult. Earning value approaches are based on the idea that a business’s ultimate value is in its ability to produce future wealth. One of the most common types of earning value approaches is known as capitalizing past earning. This approach involves a valuator who determines a level of expected cash flow based on a company’s prior earnings. This information is then normalized for unusual expenses or revenue, and multiplied by a capitalization factor. This capitalization factor can tell you what rate of return the average buyer would expect on the investment, in addition to the level of risk. Another type of earning value approach is called discounted future earnings. This approach determines an average of the trend of potential earnings in the future instead of an average of past earnings. The average is then divided by the capitalization factor. It is important to note that valuation of any type of sole proprietorship in relation to prior earnings can be challenging, as loyalty from customers often comes with an association with the business owner. Existing customers often expect the new owner to deliver the same quality of products or services than the previous owner. In market value approaches, the value of your business is established by comparing your business to other businesses similar to yours that have recently sold. While this approach can be fairly useful, there has to be an ample number of similar businesses sold to get great results. It can be especially difficult to assign a value to a sole proprietorship as they are individually owned and locating public information on past sales is not always easy. Today, the earning value approach is no doubt one of the most popular business valuation methods. However, most businesses find success when combining this method with other business valuation methods. Professional business appraisals often include different market valuation methods, such as the comparative transaction method and the guideline publicly traded company method. Each of these valuation methods require the comparison of the subject business to other businesses sold recently in the same or a similar industry. For privately owned firms, transactions that involve small capitalization public companies are generally used as evidence of business value. Determining business fair market value usually requires the use of valuation firms that are derived from comparable business sales. If non-competition clauses are involved in the agreements for a sale of a business, know that these can affect valuation. Which Method Is Right for Your Business? Whether you are a small business, a large business, a new business, or an established business, you are likely to find the best method for your business within these three business valuation methods. Each method offers a different view in which drives the values of a business. Therefore, no one method is better than another. However, you will want to consider a few vital factors when choosing between the different options. If you are a young company, market-based and asset-based valuation methods do not make much sense. This leaves an income-based valuation method with one of the best options being the discounted cash flow method. If you are an established company that usually generates steady income streams, you will likely have ample business sale data to make an accurate market value assessment. An excellent choice for companies that have stable and recurring earnings is the multiple of discretionary earnings method. If you have a business in the wholesale, retail, or service industry, compatible business sales are likely plentiful. In this case, market-based business valuation methods can work very well. If you decide to sell your business, it is important to have a solid understanding of what exactly your company is worth. To help you determine an accurate amount, there are a number of different types of business valuation methods. Some businesses choose to use one of these methods based on their specific wants and needs. Others choose to use a combination of these methods to get the most reliable results. With results from at least two methods, you can confidently stand by your decision. To learn more about any of the three business valuation methods or for assistance with the business valuation process, contact a professional business consulting firm today.